I pride myself on judging things for what they aim for, not for some grand vision. If a movie is suppose to be silly or serious and succeeds, then I tend to favor it. It's only when it tries to be something and fails spectacularly that I go full road-rage on it. Therefore, I turn to Gods of Egypt with some puzzlement, but not at the film itself. Instead, my puzzlement comes from the bashing it has received, ranging from mischaracterization of Egyptian deities to ethnic casting to story. I think we need to remember at least one thing when it comes to Gods of Egypt. It's called "Gods of Egypt", and everything about it indicates that none of this is meant to be taken seriously or literally. What IS Gods of Egypt? It's a romp, a silly, CGI-laden romp, and as such, why should I bash something that I enjoyed? In an alternate universe of ancient Egypt where gods walk freely among men, Osiris (Bryan Brown) prepares to hand over the crown of Egypt to his son, the wastrel Horus, Lord of the Air (Nikolaj Coster-Waldau). Horus and Hathor, Goddess of Love (Elodie Yung) are in love. To witness the coronation is resourceful young thief Bek (Brenton Thwaites) and his beloved, Zaya (Courtney Eaton). Bek has no belief in the gods, while Zaya is firm in her belief in the goodness of Horus. At the coronation storms Set (Gerard Butler), Osiris' brother who appears to at first be happy for them. However, he soon kills Osiris and declares himself king in a coup d'état. Not only that, but he has revoked Osiris' earlier proclamation that the Afterlife is available to all. Now, you have to pay to enter the Afterlife, and if you don't, you're erased from existence itself after death. Some of the other gods attempt to go against Set, but his guards overpower them. Horus also tries to kill Set, but Set manages to blind him temporarily at first, then after defeating him, permanently by removing his nephew's eyes. It is a year later. Horus has gone into exile, indulging in self-pity at his tomb/temple. Most of the other gods have either gone into hiding or been killed by Set. For his part, Set has taken Hathor as his mistress, since technically I think he's still married to Nephthys (Emma Booth), the last major god to still hold out against his tyranny. He has enslaved humans, though he grants his master builder Urshu (Rufus Sewell) some sway, especially since he's built an obelisk so tall Set's father Ra (Geoffrey Rush) can see it from the Heavens. Bek is still stealing, and Zaya is now one of Urshu's many slaves. They still love each other, and while Bek is for fleeing, Zaya is convinced Horus can retake the throne. To do that, he'll need his eyes, which are kept in Set's treasury. Guess who is capable enough of breaking in and stealing them? Bek manages that feat with some help from Urshu's stolen map, but Urshu discovers Zaya's treachery and orders them both killed. They make their escape but Urshu manages to kill Zaya with his arrow as they flee with one eye (there being only one at the treasury) to Horus'. Horus, bitter and angry about everything, eventually agrees to a bargain: in return for getting both his eyes and vengeance on Set, Horus will help Zaya return from the Land of the Dead (as there are many days between actual death and final judgment, especially since Zaya has no treasure to offer). Bek agrees, but is unaware that not even Horus can bring someone back once they've entered the world of Anubis. Horus knows this, but is too wrapped up in himself to care. They make a journey to see Grandpa Ra, who grants his grandson some water to quench the desert, making Set vulnerable (though he tells Horus the waters of Creation are not his to give, thus staying completely out of the power struggle). Set, who know knows Horus is on the move, sends creatures to kill him and this pesky 'mortal'. He also lays final siege to Nephthys' palace and removes her wings. Hathor escapes from Set to join Horus, and they in turn seek help from Thoth (Chadwick Boseman), god of wisdom, to help solve the riddle of the Sphinx and get Horus' other eye. Set is on to all of them, however, removing Thoth's brain as part of a plan to make a super-god, and despite Bek's anger his love Zaya tells him to keep faith on Horus (Hathor sacrificing herself to help Bek go to the Afterlife while he still lives). Horus, regretful about his acts to this mortal, devices a new plan to defeat Set, especially after Set has attacked Ra to allow Chaos to enter Egypt. Set believes that if he defeats Chaos, he will gain true immortality and rule forever, but does not realize the dangers. The final battle between Set and Horus commences. After the victory, Ra appears, indebted to his grandson for helping restore him to keep Chaos at bay. He agrees to grant him one wish...and Horus asks for nothing except the return of Bek and Zaya from the dead. At the end, Horus declares that it is not gold, but good deed and noble living that will ensure immortality in the Afterlife, and he goes off to find Hathor, his one true love. I'm going to say off the bat that I enjoyed Gods of Egypt as nothing more than a romp, a film that kind of just rolled around, broke no new ground, but never intended to be anything other than mild entertainment. It had a very traditional script (arrogant hero learns through a journey to be true hero). It draws, wittingly or not, from much better films like The Thief of Bagdad with its thief/hero. One might even say Gods of Egypt rips off The Thief of Bagdad. You can tell that Gods of Egypt isn't serious just by the acting. At the top of the list is Gerard Butler, who is Egyptian by way of Glasgow, his Scottish brogue never getting in the way of logic. His performance was like watching him do 300 By the Nile. At one point, when he addresses his private army, his Set Division, I was half-expecting him to shout, "THIS IS CAIRO!" This is typical Butlerian braggadocio par excellence, and by now I think people ought to stop wondering if he'll ever play subtle. Certainly Academy Award-winner Geoffrey Rush wasn't apologizing for his nice paycheck and CGI-enhanced work, vamping it up for Ra to his endless amusement (and ours). Same goes for Sewell, who I think had loads of fun as the camp villain. I have heard of Nikolaj Coster-Waldau but don't know exactly what he's famous for, but here he did what was required of him: be the angry god who eventually learned to be a leader. I hope Brenton Thwaites goes on to better things because he certainly, I think, is a far better actor than his turn here (particularly given he had this very curious semi-British accent). He however did what he could with this role, his youthful, mischievous, eager, and in love thief being a bit endearing. In fact, I think Gods of Egypt really didn't require much in terms of acting. Boseman's turn is perhaps the most curious, his somewhat fey, foppish Thoth (complete with another faux-British accent) made one wonder whether he was camping it up to compete with Rush. He was amusing if nothing else (and appeared amused by it all as well). I think Eaton was about the only one who really tried to do something serious with her role, but more the pity given that she wasn't given much to do. I hope she and Thwaites get better roles. As for Yung, well, she was very beautiful and I think she knew this was junk, so just too vamp it up a bit, though I get the sense that like Eaton, she was trying. Let me digress slightly to address the controversy over the 'whitewashing' of the cast, the lack of non-Arab/black actors as Egyptians. First, this is not meant to be history. If Gerard Butler and Nikolaj Coster-Waldau had been cast as the leads of Nasser and Sadat: The Movie, then I would be the first to criticize this. As they were playing mythological figures, I think people should pull back a bit and cut the filmmakers some slack. This isn't to say that casting Caucasians in practically every role was a good one. Certainly the casting of Horus, Hothar, Zaya, and Nephthys didn't require white actors (though to be fair, Yung is half-Cambodian, half-French). I make an exception for Thwaites' casting as Bek since I figure Gods of Egypt was a showcase for the up-and-comer, Rush as the 'guest star' to bring a touch of class to something as silly as Gods of Egypt, and Butler as the de facto 'star name' to serve as a draw. They were wise to cast Boseman, who was quite good as the egocentric god of wisdom, but they should have in retrospect opened up the casting for more minorities. As there is no case as to why the casting was wrong, there is no case as to why the casting was right either. If I had been advising them, I would have urged a wider and more diverse casting, though the idea that casting white actors to play Egyptian mythological beings is on par with D.W. Griffith's The Birth of a Nation having white actors in blackface is excessive. 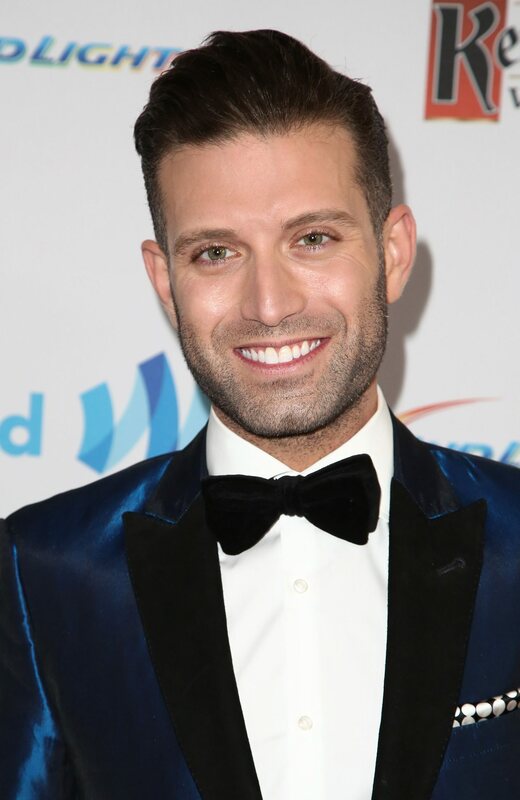 Omar Sharif, Jr. (grandson of the most famous Egyptian actor in history). Since he IS ethnically Egyptian (and half-Jewish as well), what was to prevent casting him? Name recognition cannot be a whole reason given that Coster-Waldau is not known as a film star. In short, while the casting could have been more open, I'm not going to trash Gods of Egypt for casting majority white actors to play non-real figures. Still, I think the whole controversy in hindsight is educative on how films that do not require a particular ethnicity or race for a role should indeed allow for more inclusiveness. 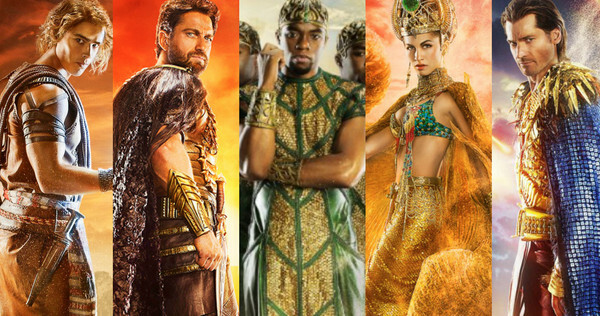 Filmmakers should take note of the controversy over Gods of Egypt as to whom they consider and ultimately cast for roles and draw lessons from that. Still, on the whole Gods of Egypt is dumb, silly, and unapologetic about it. Its story doesn't quite make sense even within the confines of its mythology (we see Thoth's brain ripped out, but at the end he is restored to life and never get a reason as to how this was done). Still, I qualify Gods of Egypt as a romp: a silly, slightly fun film where you aren't asked or required to take any of it seriously. As a result, I can enjoy myself and not worry about such pesky matters as historic accuracy or even total logic. I don't think anyone will ever make the claim that Gods of Egypt is even a good picture, let alone a great one. I CERTAINLY won't. However, when a film embraces its own cheesiness and celebrates its own self-conscious absurdity, I cannot help but enjoy it for the romp that it is. Besides, given how lousy 2016 has been, ANYTHING that looks even slightly fun is a step forward. 1 - 2016 has been pretty lousy hasn't it? Maybe I was just spoiled by 2015's greatness, but it's been pretty underwhelming so far, and there's not a lot of promise on the horizon... I loved 10 Cloverfield Lane and Midnight Special, but those are the more quiet, under the radar gems. Nothing big has impressed me yet. 3 - I forgot that Rufus Sewell was in this. Absolutely must see it now. 1. Yes: w/around 26 sequels, 6 remakes, and 4 video game-based films, we're reaching the lowest point in terms of movies. There are some good films, but so far it's been very dire. 2. A film should be judged by what it's trying to do. Gods of Egypt was meant as a mindless romp, which is how I judge it. I can't dislike something that wasn't aiming to be 'great'. 3. His role was small but he knew what the film was and played it as such.